Available: Bass Player, Drummer, Guitarist in Irvine, California, United States. Posted 2 months ago by David_Du, 118 views. Wanted: Composer, Electronic Musician, Keyboardist, Pianist, Songwriter, Producer in Irvine, California, United States. Posted 3 months ago by petalzfromtheroses, 161 views. 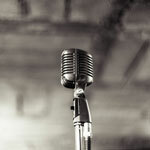 Available: Bass Player, Drummer, Guitarist, Harmonica Player, Keyboardist, Pianist in Irvine, California, United States. Posted 6 months ago by Lindsay, 196 views. Wanted: Vocalist - Backing in Irvine, California, United States. Posted 6 months ago by BandLookingFor, 140 views. Wanted: Keyboardist, Pianist in Irvine, California, United States. Posted 8 months ago by hamtastic101, 196 views. Free Musician wanted and available ads in Irvine and surrounding areas. Find a Musician today or a band to play in. An overview of all Irvine musician classifieds on Join-A-Band.com.